The American rapper best known as Mos Def has been ordered to leave South Africa within 14 days after being arrested for breaking immigration laws. 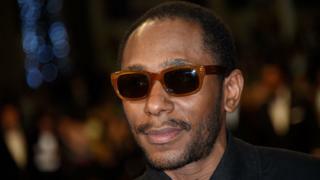 Mos Def, now known as Yasiin Bey, was held at Cape Town International Airport on Thursday after trying to leave the country with unrecognised papers. The Department of Home Affairs said the 42-year-old produced what he called a "world passport". It said the singer had overstayed his tourist visa, obtained in 2013. Born Dante Smith in New York, Mr Bey is now banned from South Africa for five years, but has been allowed to appeal. He had been living in Cape Town since May 2013, South African media said. "Further investigation into the matter revealed that Mr Smith's wife, mother and four children had overstayed and were sojourning in the country illegally," a statement by the Department of Home Affairs said. As well as being nominated for six Grammy Awards, he has appeared in a number of films, including The Hitchhiker's Guide to the Galaxy, Be Kind Rewind and The Italian Job.